Everyday, people make casual plans through messaging apps, but they sometimes cannot get things planned properly. 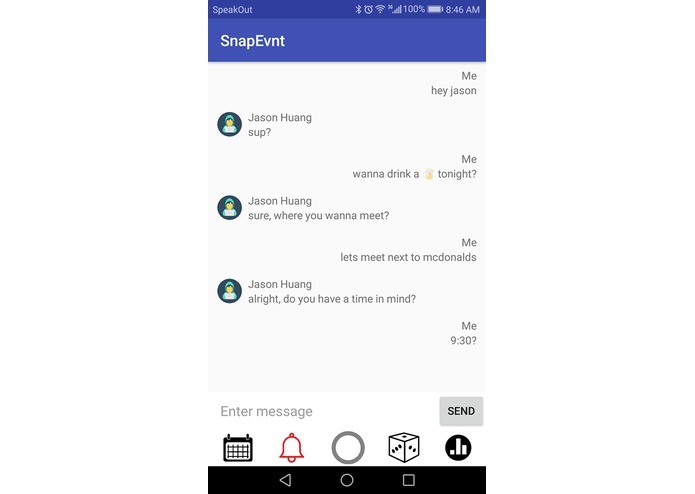 That's why we decided to create SnapEvnt which is a messaging app using AI to recognize important events/plans that you have with the people around you and categorize them so that u always stay organized. We found our inspiration in Snapchat design philosophy where spontaneity and simplicity speak to the user. The aim is to allow the user to have access to all the essential elements quickly by doing a few clicks or swipes. Create the interface to display the messages, SnapKit integration, a few bugs when integrating the API's. We are very proud to have created a functioning messaging app. It was also a great learning process for all of us! Improve the ML part of our app: text analysis. Add more features for users, like for example: google search, automatic assistance (show direction on map, calling a taxi), advising base on habits (ex: health). 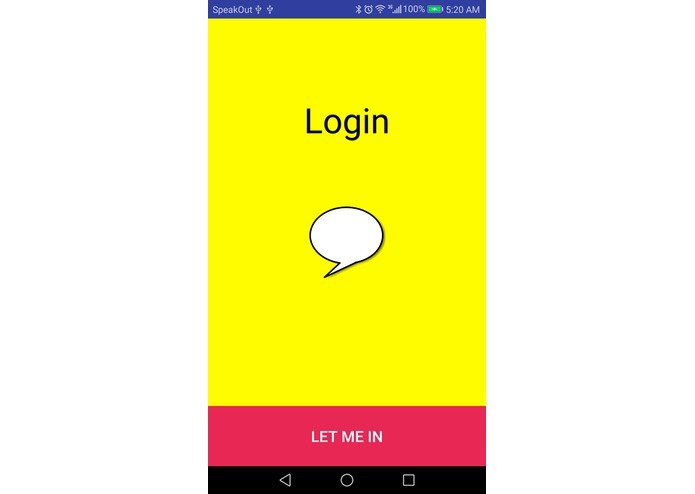 I mainly worked on Firebase authentication, through FirebaseUI, and attempted to use Snap Kit (but there were issues with the API, preventing us from using it). I also helped with smaller issues, like weird hardware-specific compilation issues. I worked on coordinating the design, and contributed to various part of the source code. I also investigated different ML solutions, and Implemented one.